This sample 11-day (10 nights) itinerary covers Sofia, Plovdiv, Bucharest, Brasov, Sibiu and Bucharest. You'll see the best of Bulgaria and Romania, and enjoy a truly unique holiday that you'll treasure for years to come. This is an action-packed trip, but everything has been planned to keep you comfortable as you travel between destinations in this special region. Prepare to enjoy hearty local cuisine and excellent wine as you explore these beautiful cities and the picture-perfect landscape between them. The services we provide as part of our comprehensive packages include accommodations, transfers and city tours. In addition to the tours included we can arrange a number of excursions based on your own interests. There is also an option to travel between cities by private car or van transfers at an extra cost. Our Destination Manager in the region will provide assistance before and during your travels. They will be available to you leading up to the trip to answer any questions and arrange local services. You will be provided with information on the best these destinations have to offer, including things to see and do, restaurants, entertainment and other insider tips. Upon arrival we will provide you with a local cell phone that you can use to contact our Destination Manager throughout your trip. In all of our destinations we offer a variety of accommodation options, including boutique-style hotels, charming B&Bs and spacious apartments ranging from a three to five-star level. From our first-hand experience we can ensure they are all clean, comfortable and centrally located. We generally discourage chain hotels but provide accommodations with unique features or an authentic feel. A driver will be at the airport to greet you and transfer you to your accommodation in central Sofia. Did you know Sofia is Europe’s second oldest city and was founded 7,000 years ago by a Thracian tribe? Through the ages, Sofia played a role as an important trading center in the Byzantine, Bulgarian and Ottoman Empires. Sofia became the capital of restored Bulgaria in 1879, with a population of only 20,000. Today you will explore the city’s main attractions on foot with an expert local guide, taking in highlights such as the National Library, Sofia University, the Parliament, St. Alexander Nevsky Patriarchal Cathedral and Sofia's oldest building, St. George Rotunda, which dates from the 3rd century. You’ll also get a chance to explore the city’s bustling main shopping streets. Our number one suggestion for a day trip from Sofia is to the UNESCO listed Rila Monastery, one of Bulgaria’s most recognizable sights. High in the Rila Mountains 2 hours south of Sofia and nearly 4,000 feet above sea level. It’s an incredible place. Along the way you will also stop at the medieval Boyana church, also a UNESCO World Heritage Site. Behind the 60-foot high walls lie impressive monastery buildings, a church and a chapel with frescoes by local masters. This most impressive monument from the Bulgarian National Revival period rises amidst the rugged beauty of the Rila Mountains, fascinating visitors with the pure and harmonious lines of the buildings' exquisite colonnades, arches and vaults, and its spacious rooms richly decorated with murals and fretwork. The monastery's most treasured historic and artistic monuments include the 14th century Hrelyo Tower, the five-domed Birth of the Blessed Virgin Church and the original monastery kitchen from the 19th century. You’ll also find a collection of valuable old manuscripts, charters and icons, an ethnographic exhibition of fabrics, jewelry, carpets and wrought iron objects, and a library containing more than 16,000 books. Destroyed by fire at the beginning of the 19th century, the complex was rebuilt between 1834 and 1862. Nowadays the Rila Monastery is the most important symbol of the Bulgarian Orthodox Church. 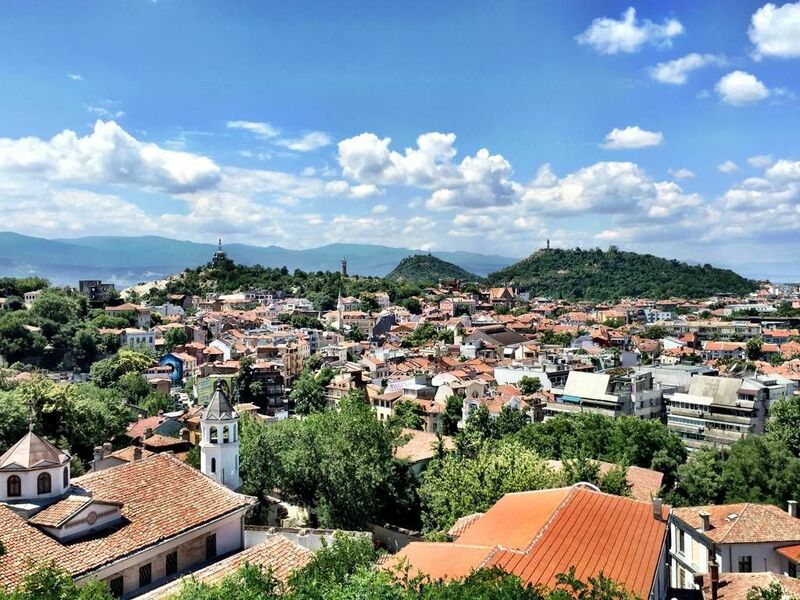 A driver and a local guide will pick you up from your accommodation and you will leave Sofia this morning and head southeast to the country’s second largest city, Plovdiv. 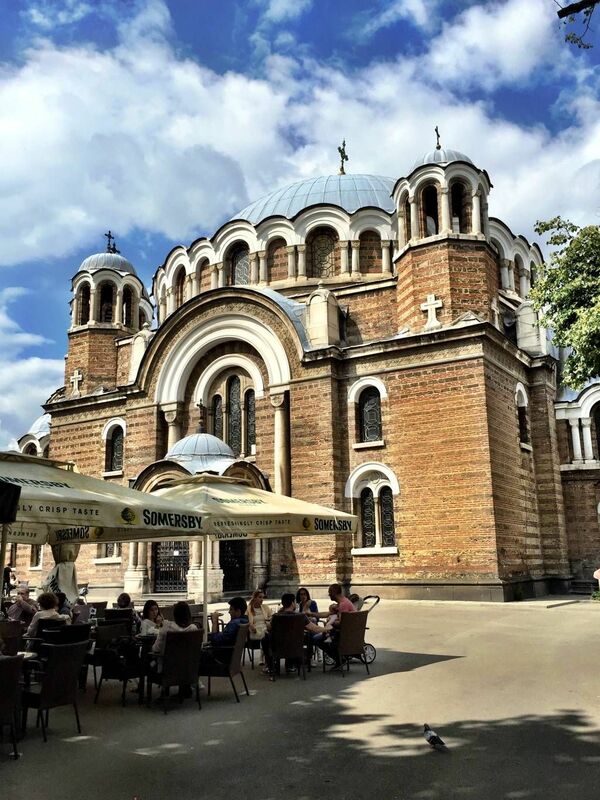 A city of gorgeous architecture, rich history, and a vibrant contemporary cultural life, Sofia is a gem. The historical center is nicely compact, so everything is within walking distance, giving this cosmopolitan city a quaint feel. It’s the perfect walking city, where you can enjoy stunning tourist attractions and also make your own itinerary, reveling in the lovely restaurants and cafes, and hidden surprises around every corner. The restaurants in Sofia are particularly impressive, with a mix of hearty traditional fare and creative twists on modern European cuisine. But there’s much more to do here than eat. Taking a tour with a local guide will help you get acquainted with all the city has to offer. When you’re ready to go a little farther afield, a day trip to one of Bulgaria's UNESCO sites is definitely worthwhile. Bulgaria’s past will come alive for you in these incredible destinations, which are popular with tourists and yet still feel very authentic. These short day trips will also give you a chance to explore the majestic landscape of Bulgaria as you leave the big city for more historic sites. Combining an alluring history with impressive architecture and world-class gastronomy, Sofia is a perfect destination for a fun, indulgent vacation. When you reach Plovdiv you will be taken directly to your accommodation to check in, then you’ll have some free time for lunch. After lunch, your guide will take you on a private walking tour. Plovdiv is a wonderful city to explore on a fun guided excursion. Walking through the city you will discover the unique history and culture behind a 7,000-year old settlement, written by the Roman, Byzantine, Ottoman, and Bulgarian civilizations. Here you can enjoy sightseeing in Old Town, with its museums and historical monuments. Led by an experienced local guide, you'll discover the unique atmosphere of this artistic and trade center, then have time to enjoy a meal at one of the quaint local restaurants. You’ll leave Plovdiv this morning to make the drive to Bucharest. Along the way your driver will stop in Veliko Tarnovo and you’ll take a step back in time as you explore the once mighty capital of the Second Bulgarian kingdom, which thrived from the 12th to the 14 century. Walking through the winding cobblestone streets, you’ll come to a new understanding of how the city’s proud population lived under Turkish oppression, developing fabulous architectural masterpieces and establishing cohesive and powerful craftsmen’s guilds. You’ll be making the most of your time in the Veliko Tarnovo area as you return to the car for visits to the Tsarevets medieval fortress and the museum village of Arbanassi, which is famous for its 17th and 18th century architecture and the unique Church of the Nativity of Christ, with well-preserved murals depicting over 2,000 scenes. Plovdiv is a city that will charm you right away. The atmosphere here is laidback and the locals are welcoming. From the incredible architecture of the Old Town to the upbeat modern promenade with its hip cafes, bars and restaurants, there’s a mix of old and new here that will appeal to travellers of all ages and interests. Be sure to check out the local cultural calendar, as there is a rich cultural calendar including delightful concerts at the outdoor amphitheater. If you have an interests in the arts you won’t be disappointed, as Plovdiv also has numerous museums and art galleries that are always offering interesting exhibitions. To really soak up the city’s charm, you’ll want to take a walking tour with a local guide who can show you all of Plovdiv’s secrets. Besides the urban architecture, you’ll want to hike up one of the numerous paths that lead out of the city to impressive vantage points. There are also several day trips within a short drive from the city which will give you a chance to explore the countryside and some of the historical sites that are slightly farther afield. You’ll really enjoy exploring this unique destination, with its impressively eclectic local culture. Welcome to Bucharest! Our driver will take you to your centrally located accommodation. Today you’ll be getting your bearings in Bucharest on a private tour with a local guide. 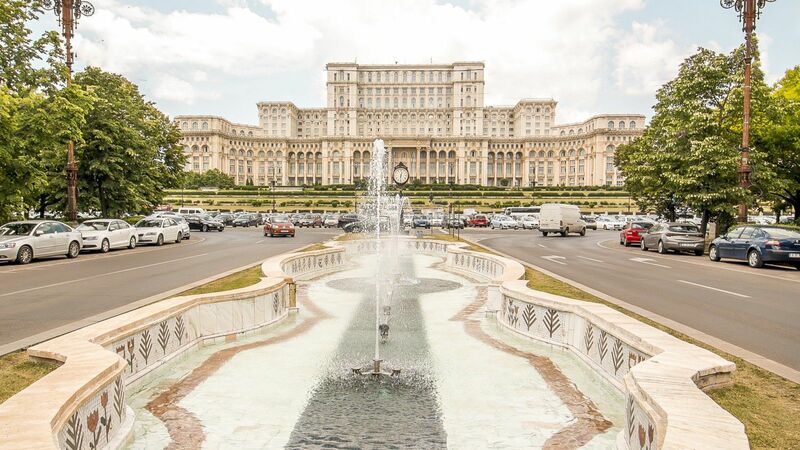 On this four-hour tour you’ll take in all the major sites, including concert halls like The Atheneum, Revolution Square, and the second largest building in the world, the massive Palace of Parliament, which was conceived by Romania’s last dictator, Nicolae Ceausescu, and almost completed by the communists before the 1989 revolution. You’ll also see the Romanian Patriarchal Church and Palace, the most important Romanian Orthodox Church. And you won’t miss the the Arch of Triumph, the Press Square, and the house of the Romanian head of the Church Village Museum, which features amazingly beautiful old village houses from all regions of the country. It’s all impressive, to say the least. Bring your passport, which you’ll need to enter the Parliament building. You can enjoy your dinner at a traditional Romanian restaurant, where you can experience how the most popular dishes are cooked and taste the flavours of the region followed by local wines and delicious desert. The traditional dishes are explained and you can even try to make them yourselves. You can also have a wine tasting, getting to know better the history of wine making in Romania, since the ancient time of dacians, before the Roman occupation and also information about annual production and different sorts of grapes that grow here. A private driver will pick you up from your accommodation to drive you to Brasov, the gateway to Transylvania. Without stops the drive should take about 3 hours, but close to Brasov you'll stop at Peles Castle where we recommend taking the tour and enjoying a tasty lunch at the castle restaurant. Nature lovers who don't mind more of a detour (an additional 3 hours of journey time) should visit Bucegi National Park, a mountain region known for its Sphinx rock formation. You can take a cable car to the summit of Omu Peak for breathtaking views. If you'd like to add this stop, let us know and we will make the arrangements with the driver. The capital of Romania, Bucharest is a truly intriguing city where modern sophistication meets a rich and varied history. The business center of the city definitely has a cosmopolitan feel, but farther afield Bucharest still feels a little rough around the edges. The restored Old Town with its resplendent buildings is simply magnificent, as is Nicolae Ceausescu’s Palace of Parliament, where you can enjoy an enthralling tour. Bucharest also has some amazing cafes and delicious restaurants, especially in the Lipscani district. The city is no stranger to culture either, with numerous galleries, antique shops and concert halls. The most stunning landmarks are along Calea Victoriei, but you can see something impressive on just about every corner. After discovering the incredible variety of neighborhoods and architectural styles in the city, you might want to enjoy one of the cultural festivals, or take off for a unique day trip. If you’re ready for a full day, a trip to Transylvania including Peles Castle and Dracula’s Castle, will certainly be a memorable excursion, and very Romanian. We can also arrange for a private guide to show you around the city and the notable surroundings. Welcome to Brasov! After the drive, your driver will take you to your centrally located accommodation. Today you’ll be exploring the gorgeous medieval streets of Brasov, a city whose beauty is framed by the beautiful natural surroundings of the Carpathian Mountains. Your local guide will show you all the city has to offer, including the Town Hall Square, which is ringed with baroque buildings, and the Black Church, Romania’s largest gothic church. You’ll squeeze down Rope Street, which is said to be the narrowest street in Europe, and then see Council Square, one of the country’s most impressive central squares. The city’s 14th century fortifications and citadel remain remarkable today and are just one example of how the past will come to life on this memorable tour. For additional fee we can arrange a visit to the fascinating Dracula Castle in Bran. If you’re a wine lover, Rhein Cellar is the local vineyard you’ll want to visit most. It isn’t too far from Brasov and is easily accessible by bus or car. Rhine is considered the oldest sparkling wine producer in the country. Those sparkling wines are highly recommended, but all of the varietals here are delicious. You can book tastings and tours in advance. Both are certainly worth it. To make the most of your day we can arrange for you to be met at from your accommodation by a local guide and driven the winery, where you'll enjoy an expert guided tour and tastings. A private driver will pick you up from your accommodation to drive you across Transylvania to the idyllic city of Sibiu. Along the way you will stop in one of the gems of Transylvania, Sighisoara, which is the birthplace of Dracula. There are plenty of Vlad-themed attractions but in our opinion the highlights are the citadel and the clock tower. After a couple hours of sightseeing you will travel just outside of Sighisoara for lunch at your own expense in nearby Dracula Danes, which provides a beautiful natural setting complete with horse stables. Brasov is a city of true medieval beauty, at the edge of which is the natural wonder of the Carpathian Mountains. This combination gives the place a truly unique feel, as history and the natural world come together here with astounding brilliance. The home of Romania’s largest Gothic church and the narrowest street in Europe, there is plenty here to enrich your visit. You can even take a gondola ride high above the city for new points of view. And, Brasov’s location makes it the perfect base for exploring some of Romania’s most magnificent castles. You’ll definitely want to spend a few days exploring the city, which offers everything from incredible architecture to excellent dining, a rich cultural program and fun outdoor activities. Day and night you’ll find something fun to do here, from the depths of the narrow Rope Street to the heights of Mount Tampa. Wine lovers will really enjoy a trip to the Rhein wine cellar just outside of Brasov. Here you can learn more about the local wine and of course taste it too. Bran Castle, Rasnov Fortress, Peles Castle, some of Romania’s most impressive castles, are all within distance for a perfect day trip. History, culture, architecture, the great outdoors: Brasov brings all of Romania’s greatest gifts together in one place. Welcome to Sibiu! Our driver will take you to your centrally located accommodation. Today you’ll be taking a memorable day trip outside of Sibiu. 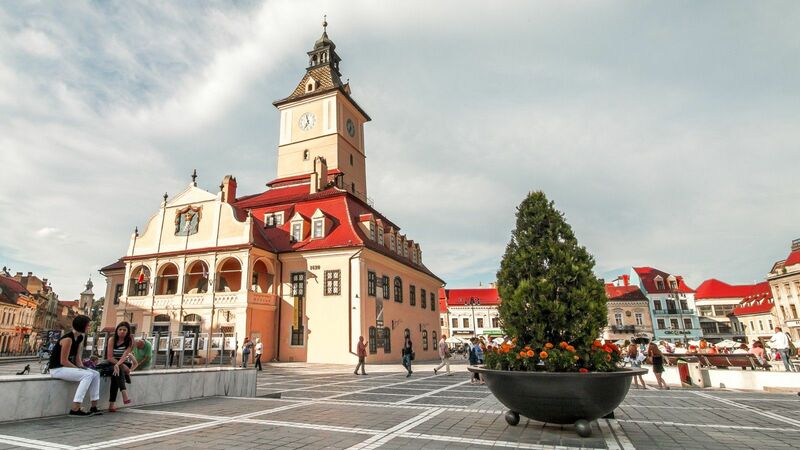 Your guide will pick you up at your accommodation, then you’ll start your day with a tour of the historic center of Sibiu and its main square, which is one of the best preserved in Transylvania. After that you’ll continue with a visit to Calnic and Sebes, where you can explore the beauty of the fortified churches. Sebes used to be one of the most important citadels in Transylvania. In Alba Iulia, you’ll feel like you’ve traveled back in time. Alba Iulia has been a Dacian-Roman fortress, a Saxon colony, an Austro-Hungarian citadel and a town – becoming a symbol of the great unification in 1918. The history and culture here is palpable. At the end of the excursion you’ll be driven back to your accommodation. Today you're headed back to the capital, Bucharest. A private driver will pick you up from your accommodation in the morning. There are two distinct routes between Sibiu and Bucharest and if you are traveling between July and September when it is officially open you should absolutely take the longer route, including the DN7C, better known as the twisting and turning Transfăgărășan, or Ceausescu's Folly. You will make a day of the drive and along the route there is a must-see stop: the Balea glacial lake, an ideal place to have a bite to eat at the chalet overlooking the lake and mountains. It affords the best views of the winding road from above. 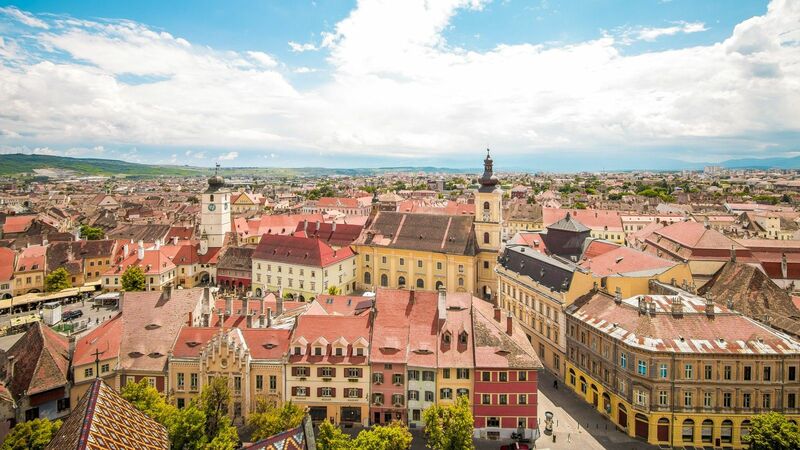 Did you know that Sibiu is a 3* Michelin travel destination? Did you know that it was a European Capital of Culture in 2007 and it will be European Region of Gastronomy in 2019? We invite you to join us and discover an amazing town with so many stories! Walking through Sibiu is like walking through a fairytale, or perhaps a medieval movie set. From the 16th century Bridge of Lies to the 15th century towers, you’ll find something romantically ancient at every turn. But that doesn’t mean the city is frozen in time, there’s also a rich cultural life here to match the incredible architecture. You’ll have a fantastic time watching history come alive in Sibiu, even as you experience its more contemporary charms. This is a city of firsts: where the first book in Romanian was printed, where Romania’s first hospital and pharmacy were opened, and also where the country’s oldest museum is housed, the Brukenthal Art museum. You’ll be charmed by this mix of old and new. You’ll certainly want to meet with our local guide, who can give you a closer look at all the most amazing sites in the city, including the main square, one of the best-preserved in Transylvania. But you won’t be limited to staying within city limits, as there are several interesting day trips to take in the surrounding region. The Jidvei Vineyard in the nearby Tarnave Valley is the perfect place to enjoy a tasting of some of excellent Romanian wines and snacks. Calnic, Sebes and Alba Iulia Citadel are also nearby sites that are certainly worth visiting, and will show you a different side of this enchanting region. To allow for any potential delays and to make sure you are at the airport in time for your flight, avoiding the likely traffic you could experience on the road from Bucharest city center to the airport, we will arrange accommodation at a 4-star hotel close to the airport for your last night in Romania. Your driver will take you directly to the hotel. Today, you will take a shuttle from the hotel to the airport. "Local Representative was helpful, clarified any items we asked and the Europe cell phone is a good idea. We were very happy with the accommodation selection, food quality was good. The review about the selection of hotels during the planning phase really paid off. The guides were nice people, pleasant, punctual, helpful and gave us lot of information about the attractions and history of the country. We enjoyed their company. JayWay staff knew the area very well, they understood our needs and limits and provided practical suggestions for saving our time and money."